This is the sixth display in a series intended to show the first issues of every country. That includes the first stamp and (where issued) the first commemorative, airmail, charity, official and post due. Summary pages of the previous first stamps are shown on the reverse of pages two, three and four . The original first issue for this West Indian location (variously part of the Leeward Islands and St. Kitts-Nevis) was on 1st January 1861. Nevis used the stamps of the Leeward Islands from 1890 and also those of St. Kitts-Nevis from 1903. 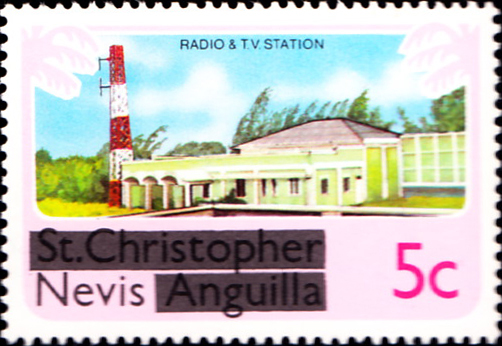 From 1956, only stamps from St. Kitts-Nevis were used until 1980 when Nevis stamps were issued again. The third stamp of the 1980 set was overprinted as an official. 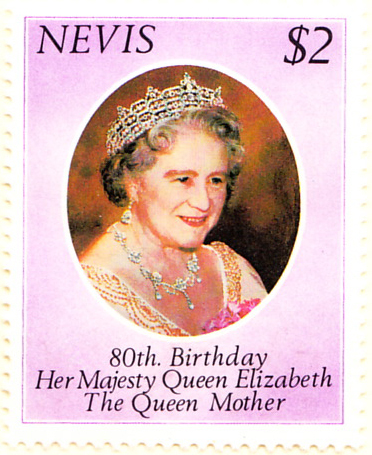 The first stamp labeled only Nevis may be considered the first commemorative. There was a variety of issues from states, provinces and other entities in this period, one Canadian, one Italian, one American, four German, one Colombian and one Indian. The sixth (but see the previous display, it might be the eighth) and last of the Canadian colonies to issue stamps. 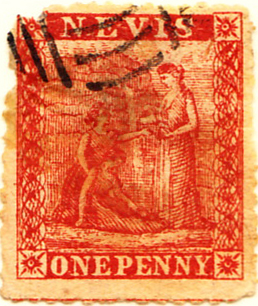 The first issue, 1st January 1861, is expensive, but the design was maintained through to 1872 and the 1863 SG12 Sc5 is shown. 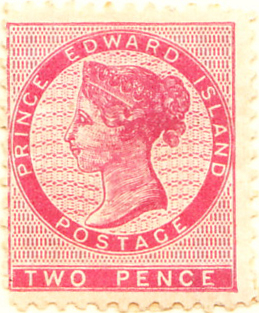 Canadian stamps were used from 1873. Only the Neapolitan Provinces issued in this period, the ninth Italian State, on 14th February 1861. There was a single set of eight stamps, to the same design in differing colours. Italian stamps were used from the following year.